A tool's worth is determined not by its purpose but by the person using it. It's said this excavator's built-in drill can put a hole in any pavement, while its built-in crusher can demolish any building. Duration: 180 seconds at the end of the turn. Duration: 180 seconds at the end of the turn. 9T9 turn cooldown. 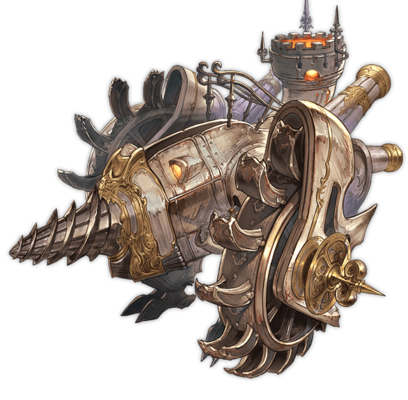 buffs will be placed on Lyria instead of the MC. このままドーンとやっちめぇ！ Let's go "BOOM" just like this! どいたどいたー危ないぞー Out of the way, out of the way-- this is super dangerous! こいつを喰らって反省するですぅー！ Take this-- and then think about what you did! キャー！　ヤベェパワーですぅ！ Kyaa! Sooo strong!